Chessmen: Camelot themed chess pieces, made on Pewter, gold and silver finishing, King height 3.5", King base 1.5", all pieces are felted. 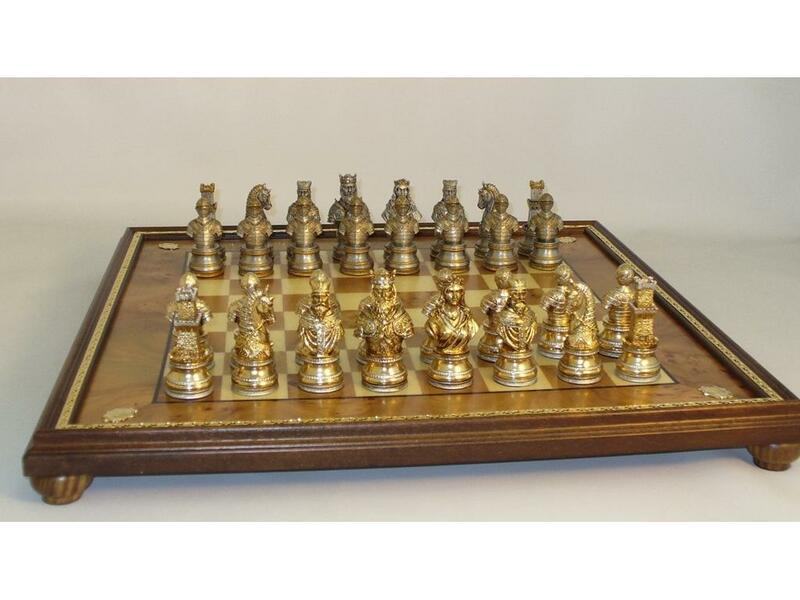 Chess Board: Elmroot wood chess board 22x22 inches, gold details, elevated with four legs, 2 inch squares. Made in Italy. Page P4308 Copyright © 1999-2019 GammonVillage Inc., USA. All rights reserved.